The BOX SET SERIES is a range of brand new 4CD releases packed with original hit recordings by the biggest artists in music history. For the first time, the classic recordings of these household names are now packaged in affordable box sets. This package has been created locally especially for this series release, highlighting one of our own iconic artists alongside global icons. 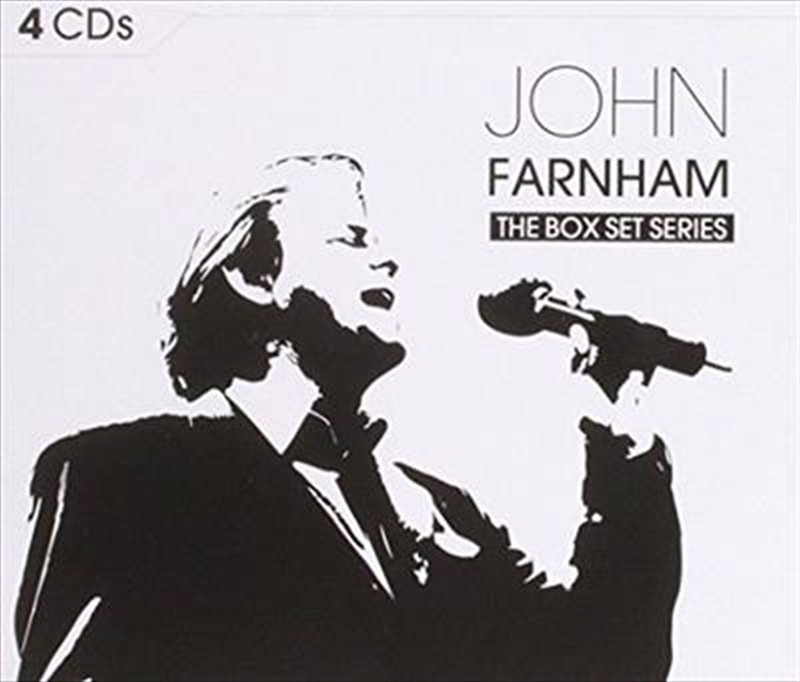 The collection features 64 classic John Farnham hits from nearly five decades of hits, from his teen pop idol days through his late-'80s/early-'90s peak and on through his charity-driven later years.